I made this piece entirely by hand using my signature molten tin design. 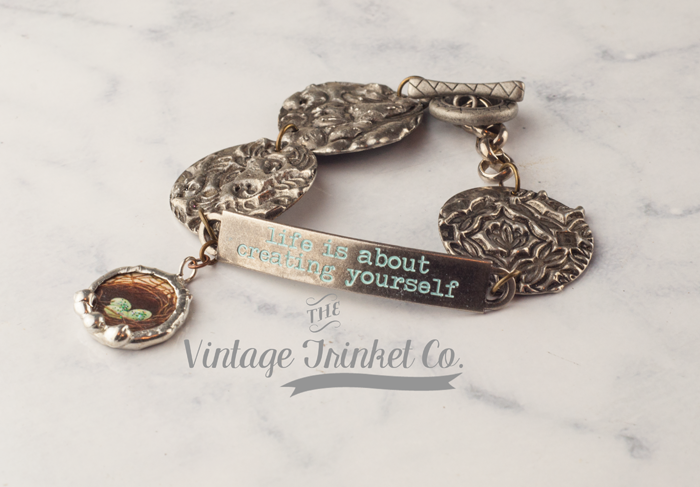 I created carved circle links and added a phrase charm, highlighted in turquoise blue. The links have a beautiful antique patina. 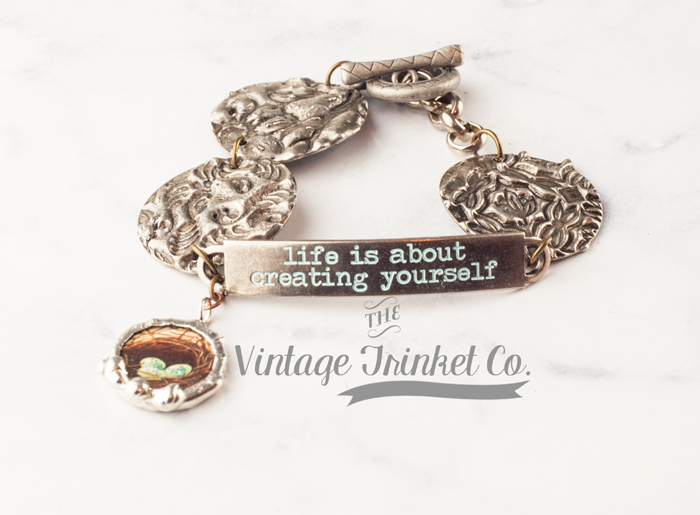 A handmade molten tin charm hangs off the end, with an image of a vintage birds nest which matches the motivation charm. Bracelet can be lengthened or shortened as required at no extra charge - please let me know. Item comes gift boxed and ready for that special someone, or as a lovely present to yourself.